Philosophy, fiction, personal thoughts and anything else I want to write about. Pablo Picasso once said “art is a lie that makes us realize truth, at least the truth that is given us to understand.” He said this in the 1920s, after he had already cemented himself as a piece of art history, after his successful start of the Cubism movement, after he had claimed his sovereignty over the current art world for his unparalleled exploration and innovation. Picasso fostered the ideal that art’s emulation of life did not need to be absolute, nor attempt to defy the confines of the two-dimensional canvas. It was a different era of modern art. The commercial and critical success of Cubism had opened wide the door for the abstract, giving artists room to experiment with freer forms and not be afraid of rejection. This led to the emergence of Surrealism and Art Deco, Surrealism being an appeal to the liberation from realistic depiction which Cubism offered, while Art Deco arose from the interior geometric designs characterizing the Cubism movement. 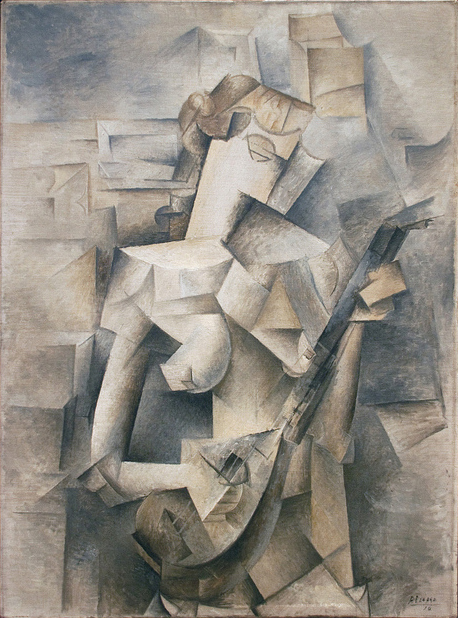 Picasso’s Girl with a Mandolin (1910), one of his Cubism pieces. Fifty years later, Andy Warhol commented in his book The Philosophy of Andy Warhol that “making money is art and working is art and good business is the best art;” quite the turn from Picasso’s pensive philosophy towards art. Warhol was famous (or infamous, depending on your artistic inclination) for his commercialized Pop art that was simple in its portrayal and easy to produce; its widespread popularity and controversial acclaim in the 1960s forced mainstream culture to question the definition of art, a topic that previously only artists and art connoisseurs had bothered to address. Pop art certainly drew its roots from Picasso, as Warhol and the other artists of his time were not the first to plant pop culture references within their work, and Pop art expanded upon Cubism’s abstraction away from its subject: what can a subject of art be, and how clear must it be? Warhol broke away from the traditional artist route of fully expressing his own viewpoint in his work, instead using subjects that were instantly recognizable by all of America, and portraying them how he thought all of America would see them. Warhol’s art, often vibrant paintings (more towards printings) using silk screens, reflected America’s rising commercialism during the sixties. Warhol’s work was not necessarily a critique of this commercialism, but an embrace of it, as it was convenient from a business standpoint. This is a common criticism of Warhol’s career: the depth of his tacky and spiritless art ran only as deep as its salability, designed to attract attention and instantly appeal. Despite this, Warhol is indisputably one of the most influential artists of all time, as his challenging of what could be accepted by the art world dictated the direction of contemporary art in the comings years. 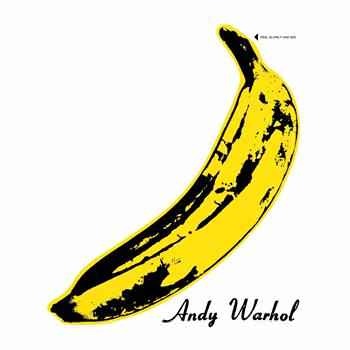 Warhol’s banana print for the cover of the Velvet Underground’s debut album, The Velvet Underground & Nico. 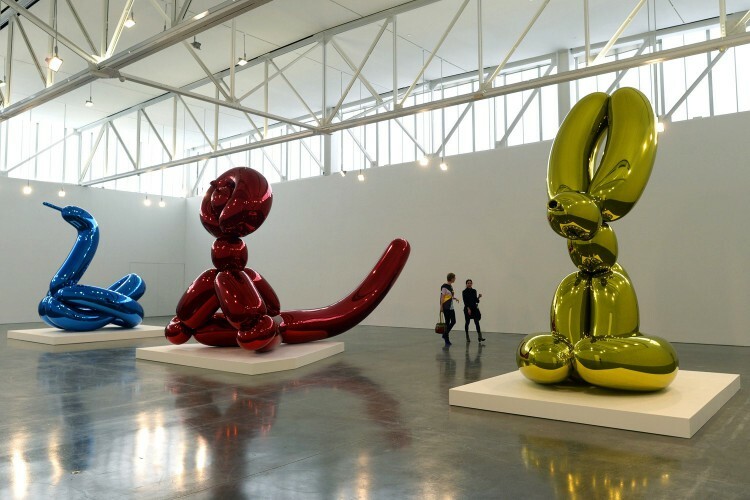 Koons’ perspective on art sounds much more inspired than Warhol’s fiscally-focused view, but in 2013, Koons’ Balloon Dog (Orange) sold at auction for a record setting $58.4 million, the most expensive piece of work sold by a living artist, marking Koons as a target for critics of expensive contemporary art. Like Warhol, Koons’ work is accused of exploiting the art market, but unlike Warhol, who never troubled himself to dismiss these claims and openly admitted his love for money, Koons takes the route of a traditional artist, defending the scope of his work and always taking the time to explain his inspiration, such as his love for balloon animals due to their suggesting the act of breathing, a manifestation of our own life and death. 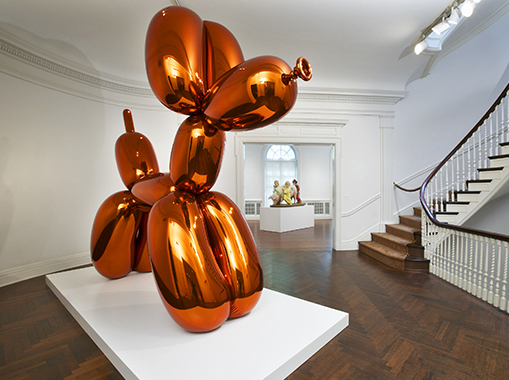 Koon’s Balloon Dog (Orange), which sold in 2013 for $58.4 million. Unlike the collective sensation of Pop art, contemporary art is frequently condemned by the general public, particularly when the prices of select contemporary pieces can rival the prices of traditional masterpieces. Whereas Warhol ignited controversy by almost provocatively asking if his work was art, contemporary artists assert that their work is art, leaving the audience to figure out why. Frustration also stems from the recurrent simplicity of modern art – audiences may believe they could have produced the art themselves; how original is a metal balloon animal? But they of course didn’t produce it, and they never would have. That’s the important part. Today’s world of art is at odds with the non-art populace. An incredible disconnect exists between the perceived pretentiousness of those educated about art and those who, though uneducated, would otherwise enjoy viewing and discussing art, making the art community seem inaccessible and inclusive. But with the prevalence of media and its ease of sharing, uneducated art enthusiasts (or any person with an opinion about art) have more influence on the art world, as they possess a new-found power to pressure the community with a consensus opinion of what constitutes “good art.” Creating a standard of what can be considered good, without also including success, has become difficult. Art is seeing an incredible amount of diversity, as the ease of accessing most mediums and the marketing advantages provided by social media allow almost anyone to follow their passion for art. Digital forms of art have become more commonplace but also more meaningful; because anyone with a computer can potentially craft digital works, originality and intention are becoming more important in the digital art space. However, this new generation of art is not yet artistically flourishing. Print and manufacturing methods are easier to use and cost less, giving artists the means to cost-effectively distribute their art to large audiences. But this increases the appeal of commodity art; why pay more for a piece considered “substantial” by some snobby art critic when you can buy a cool looking picture for noticeably less? Commodity art can flood the marketplace and make it difficult for artists with purpose to make a name for themselves. This disengages young, rising artists from the older generation of successful artists; if you cannot break into the scene, you can be ignored and forgotten by artists and critics alike. Even work achieving monetary success is not instantly afforded respect by the art community. The criteria for great art is indistinct, muddled in a world where no one knows anymore whether to believe the opinion of the artist, the critic, or the general audience. The definition of art has always fluctuated, but since the 20th century, the possibilities of art have increased, and by extension the purpose of art has begun to change, leaving more open interpretation than ever in how art can be appreciated. Koons’ balloon animal sculptures are gargantuan, old idols from our young memories, tossing us gently back to our childhoods by making us feel small again. Warhol’s trendy prints cause us to accept aesthetics for aesthetic’s sake, a simplicity that most artists refused to recognize. Picasso, universally recognized as a creative master, nevertheless does not escape disapproval for his self-interested motivation; but though most of his artwork was ultimately about himself, Picasso still created beautiful works across multiple styles, each new foray as influential as the last. Koons, Warhol, and Picasso all followed their own objectives and embraced their own styles, and each was definitively an artist. Art is about the artist as much as it is about the time they lived in and the audience of their work; it can be personal while also being universal; it can have value for visual, social, and spiritual reasons; it can exist simply because the artist felt compelled to create. In a time when artists are attempting to expand the definition of art to its boundaries, critics, audiences and other artists are all vying to limit that expansion to their own individual preferences. This turmoil, the simultaneous acceptance and criticism of certain art without transparent reason, is detrimental to aspiring artists. Arturo Cabrera, a New York artist whose flourishing career is driven entirely by his own passion, believes art is about expression. While his motivation is personal, Cabrera works mostly in portraiture, bringing what he finds within the facial and bodily expression of others to the surface of his paintings. 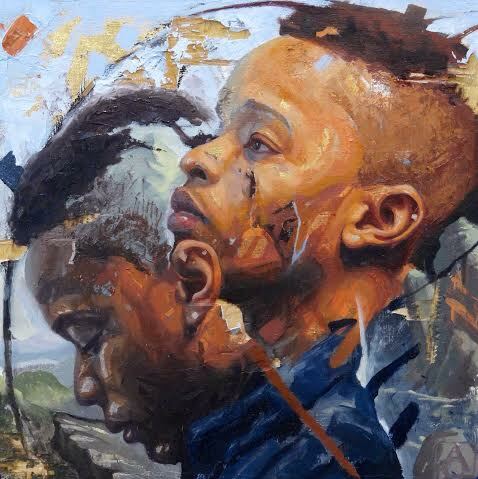 Focusing on subtle emotion and modern themes, Cabrera’s portraits are refreshingly full of depth, and he is poised to succeed as a part of the forthcoming generation of artists in the states. Cabrera’s Over Yonder (2015), a 12 x 12 oil-on-wood portrait. While Cabrera and other young artists have the talent and the desire to thrive artistically, the art community may not be ready for them. If the atmosphere within the art community does not change, if the discord in the contemporary era cannot be resolved, the new generation of great artists will not surface, and this era of art history will be denoted as a disappointment. For more on related to issues within the art world, the two articles below are insightful and well-written. Steven Zevitas’s The Things We Think and Do Not Say, or Why the Art World is in Trouble; an article criticizing hot commodity art. Carol Strickland’s The trouble with Western art today; an article about contemporary art’s frequent lack of depth. All header images are courtesy of Darien D. Hester: Photography & Design.